I just finished up Layton's twin sized quilt yesterday and today it was sunny, although windy, and I got to snap some pictures. 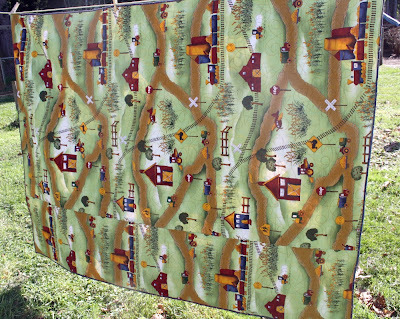 I used fabric from the collection "Ron's World" on both sides of the quilt. I wish that the backing fabric had been wide enough to go across in one piece but it wasn't. And really, I don't even think Layton has noticed that it's "off." All he is concerned about is that it's fun to get out the matchbox cars and trucks and drive them down the "roads." This is the first pieced quilt that I have ever made without a border! I think it's just because I really appreciate that I can make blocks and then frame them with some strips of fabric making, 1. The quilt look more picture like and 2. the quilt bigger without having to sew more blocks! 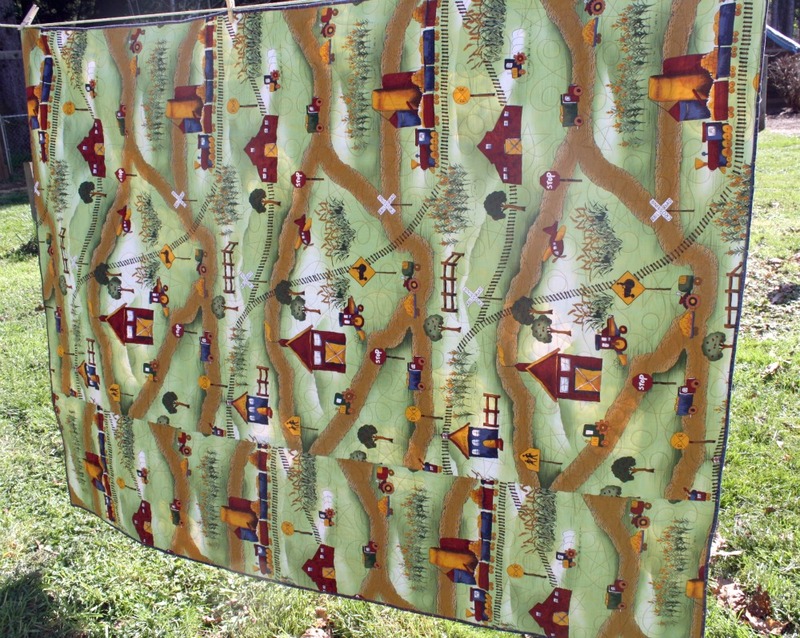 I'm working on Mason's quilt right now and I think I am going to leave it borderless as well. 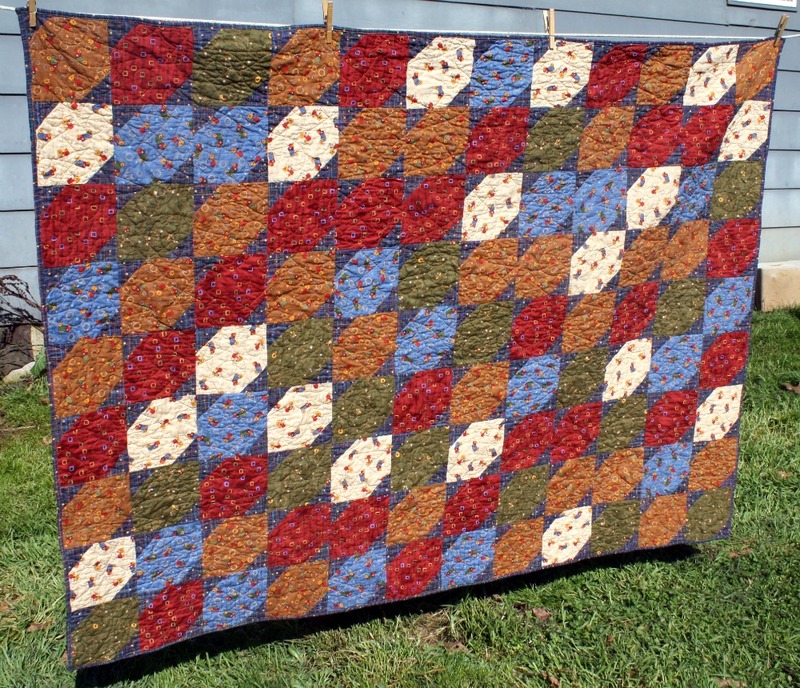 So, as soon as I have that finished, all 3 of the little ones will have their quilts for their new beds. I'd better get to sewing! Isn't it interesting how the bad things, rumors, lies, etc. seem to spread like wildfire in small communities, over the internet or in circles of people? Unfortunately the good things don't seem to spread as fast. Until now. I saw this recipe on Blissfully Content. Julia originally got it from Petticoat Junction. The original post was on February 21st. 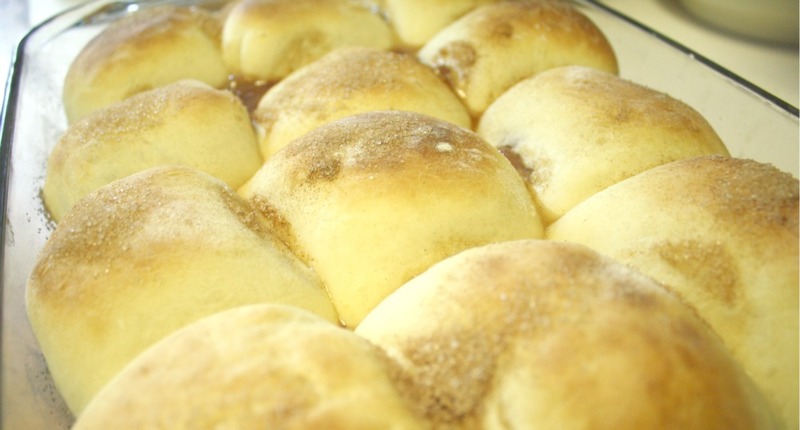 Julia made the Apple Rolls on February 22nd and blogged about it. I then made the Apple Rolls on February 23rd...and just didn't get time to blog about it until now. I know, I broke the chain! Better late than never though. This recipe is so good. Not to mention easy to make. I had thoughts of it this morning with canned peaches instead of apples. That would probably be good. Not as good as the apples, but certainly yummy! Here are the original instructions and recipe if you'd like to see Becky's version, along with some pretty good step by step photos. Make these, enjoy them, and spread the love! 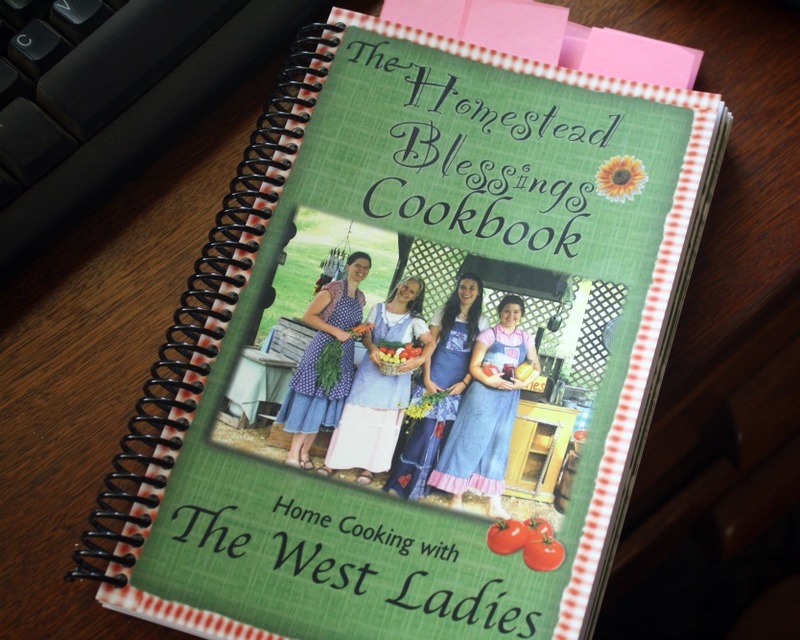 I was blessed by Vision Forum's Deal of the Day a few weeks ago when they featured the West Ladies Homestead Blessings Cookbook. This has been on my wish list since even before it came out. I just couldn't bring myself to spend $20 on a cookbook though. Thankfully patience is a virtue and I got it for nearly half price. Now that's a blessing! I spent last Sunday afternoon going through it and marking the recipes I wanted to try. Let's just say that the post-it notes got out of hand. So many wonderful looking recipes! Sunday night I made the "Busy Woman's Chocolate Cake" and Monday morning I made "Johnny Cakes" for breakfast. The chocolate cake was great. It certainly needs no frosting what so ever. The only thing was that the recipe said to cook it for only 30 minutes, which at 350 in a 13x9 pan would have left it severely under baked. It really takes about 45-50 minutes. I would think that you could divide it into 2 8" pie plates and cook them that way for about 30 minutes. The Johnny Cakes were...well, let's just say it's obvious that I have NO southern roots. The flavor of them was great, I just didn't love the texture. I don't want to completely give up on this recipe though so I think that next time instead of just 2 cups of cornmeal, I'll use 1 cup cornmeal and 1 cup flour. Do you have the Homestead Blessings cook book? What recipes have you made out of it and what did you think of them? We have a ton of canned peaches from last summer so I think the next one I'm going to make is the Georgia Peach Pie! Did I miss winter? Did it come and go and I blinked? We have had such wonderful weather here over the past few months. We did have an occasional rain/wind storm (which is our normal daily forecast in the winter) but otherwise the weather has been really nice. It has been cold, this morning was 34 degrees, but it is sunny! I don't know if I'm just getting my hopes up or if we really will have a mild winter and an early spring. I'm already figuring out which garden seeds I need to order on my next Azure order. I still have some seed from last year that I will put to use in the garden this spring too. Along with spring comes thoughts of new life and if you're of the farm girl type, that new life often includes baby chicks. This will be Layton's first year in 4-H. Since he is under 9 years of age, he has joined 4-H Mini. He'll be able to show a chicken at the fair this year and this has gotten his mama (me) so excited. 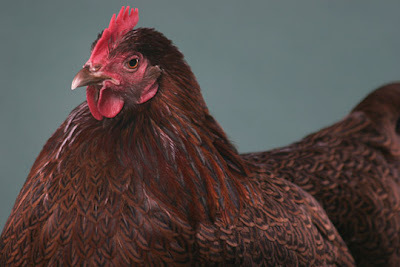 I'm going chick crazy. At first I thought he could just show a Buff Orpington since those are the chickens that we primarily keep and they are friendly and docile to boot. Then I remembered last year at the fair. EVERYONE had a Buff Orpington chicken. So we decided that this year we're going to be "different"... in a good way. I have on order....... Black Australorps, Partridge Rocks, Speckled Sussexs, and Golden Laced Wyandottes. 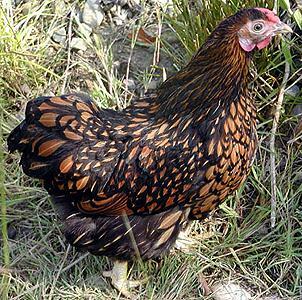 I'm going to let Layton decide what he wants to show but I'm keeping my fingers crossed for the Speckled Sussex. They are such a unique, beautiful bird! We also hatched 8 baby chicks in a loaned incubator here at home a few days ago. If you follow me on Facebook then you've seen their picture! 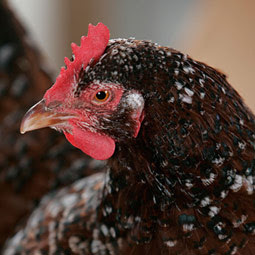 I'm hoping that we're in for a wonderful fair and harvest of eggs starting in August. 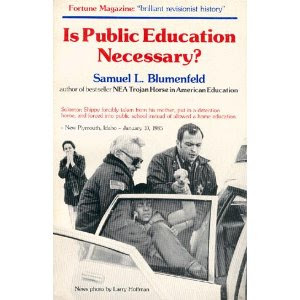 "Today, most of the young adults who emerge from the process [of public school] read poorly, write miserably, have stunted vocabularies, cannot do arithmetic well, know little geography and less history, and know virtually nothing about the economic system in which they live. At school they fall under strong peer pressure, are introduced to drugs and sexual promiscuity, while their teachers preach the moral relativism of secular humanism as a substitute for the outmoded codes of religion. Traditional discipline has been replaced by behavior modification techniques, which include the use of powerful drugs developed by behavioral psychologists. Some students, puzzled by the deeper, spiritual questions of life, which neither the humanists nor behaviorists can address turn to astrology, black magic, or religious cults for answers. The average graduate, however, tries to make his way into the adult world with a serious deficiency in basic skills and the use of logic. The process, in short, is a stunting of intellectual and spiritual growth. Every September a new generation of American children are fed into this crippling process, and American parents are at a loss to understand why the young adults emerging at the end are the way they are. The school buildings look fine from the outside. But parents are only vaguely aware of what goes on inside." WOW. Did that hit you like a ton of bricks? Or maybe you're saying, "Yep. That's what I've been saying all along!" Either way, this book looks as if it is going to be wonderful and I'm excited to read it. Want to know the crazy thing? This book was first published in 1981! Over 30 years ago! How have we been so blind for so long? I may share more as I read through it. Want to read through it with me, for free? Here is the link to read the book online.